I know it’s not technically summer yet, but I just have to share this recipe with you. Have you ever had corn on pizza? I hadn’t…and now I never want pizza without it! 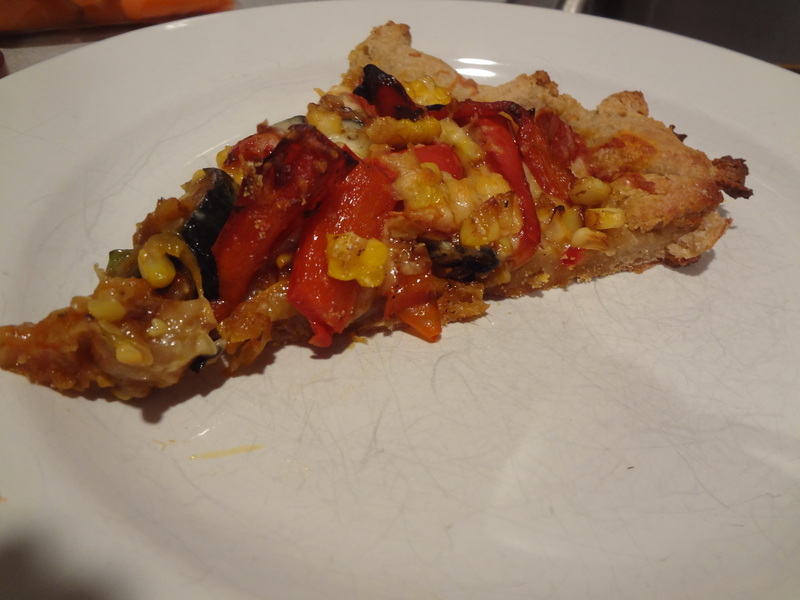 As a vegetable-lover, if I make pizza at home, 9 times out of 10, I’ll make a veggie topped pie. And if I order pizza at a restaurant…9 times out of 10, you guessed it, I order veggie. 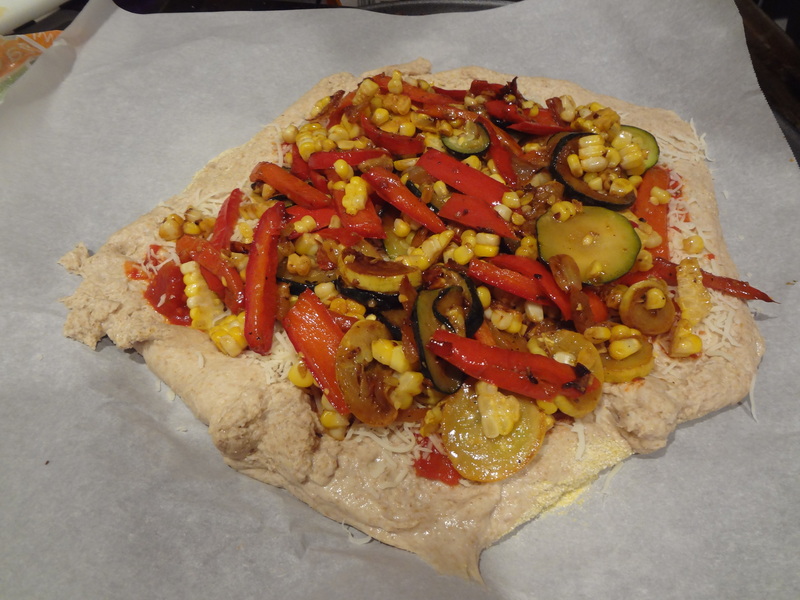 So I didn’t think much of it when I was scouring an old issue of Cooking Light for pizza recipes, and stumbled across a veggie pizza. However, the addition of corn in this recipe had me intrigued. So I went for it. I bought corn on the cob (already shucked was the only available…shameful, I know! 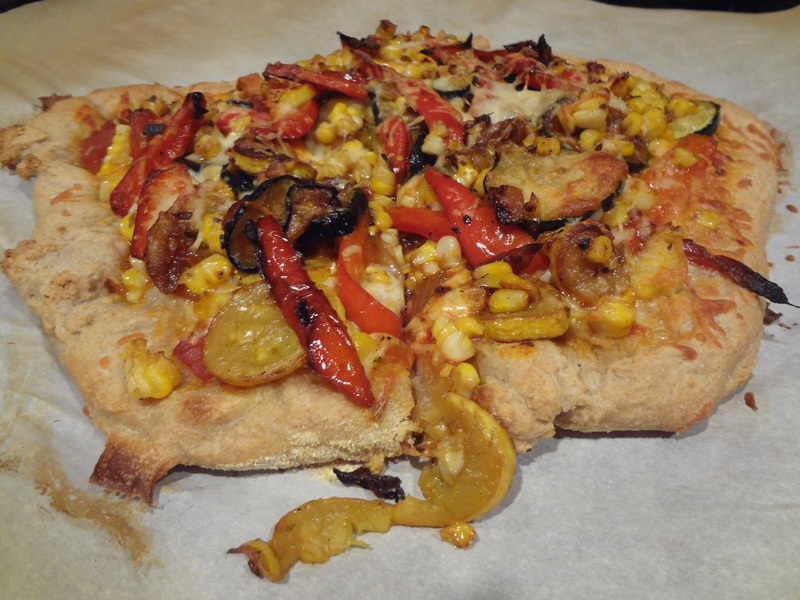 ), red peppers, zucchini, summer squash, and onion…and this summer-inspired pizza was born. The hardest part of this recipe is chopping the vegetables. After that, it’s a piece of cake. Make this, you won’t be disappointed! 1. Preheat oven to 425° (or temperature your dough specifies). Chop all vegetables. 2. Heat a small skillet over medium heat, spray with cooking spray. Add 2-3 teaspoons olive oil to pan, swirl to coat. Add garlic to pan. 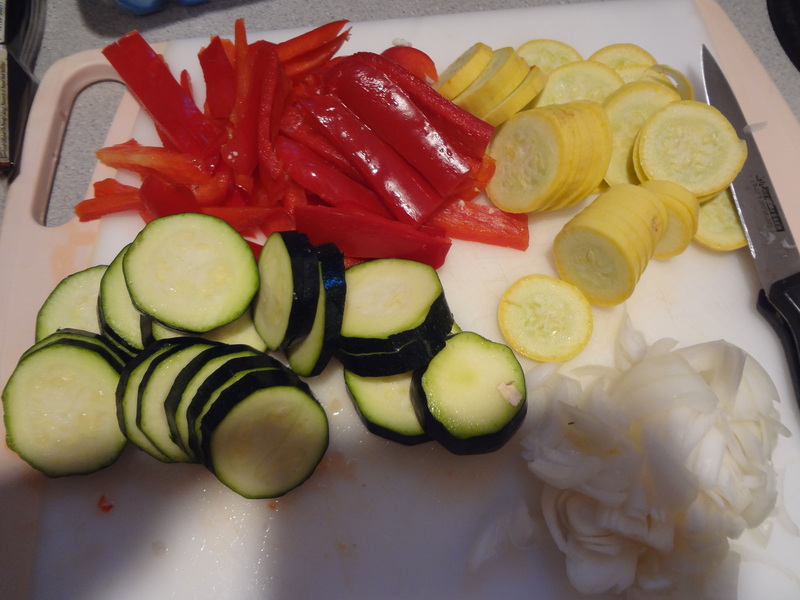 Then add onion, squash, zucchini, and bell pepper; sauté 5 minutes. (I always add I Can’t Believe it’s Not Butter Spray, too). Add salt and pepper to taste while sautéing. 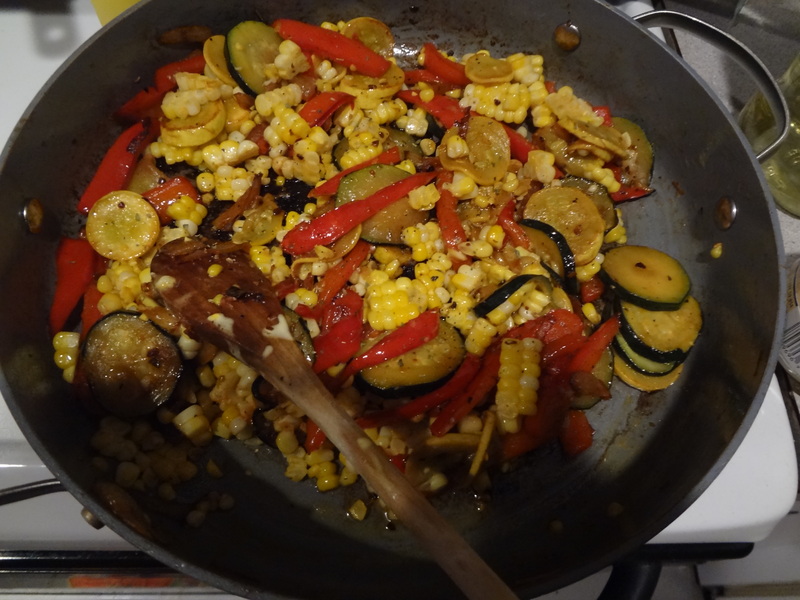 Cut corn from cob; add corn to vegetable mixture. 3. Scatter cornmeal over a lightly floured surface; roll dough into a circle on prepared surface. Transfer dough to a baking sheet; top with layer of tomato sauce ( I used about ¾ cup). Sprinkle with cheese, then top with vegetable mixture. Bake for 15 minutes or until golden. Cut into 8 slices. Unfortunately, this was such a hit, there were no leftovers. So what did I do? I made it again less than a week later. It is so so addicting. If you don’t feel like pizza, just make the vegetable sauté. I made it as a topping for my lunch salads last week, and it was fantastic!